I wrote an article a little while ago https://wellthatsdifferent.wordpress.com/2012/12/10/the-worst-evil-plan/ talking about how I didn’t like the plans of Bane from Batman and Silva from Skyfall. But the thing is there is a trend happening in the movie business where the bad guy is a super-smarter than everyone else, ultra-badass. And Iron Man 3 and Star Trek 2 are going along with the fad. 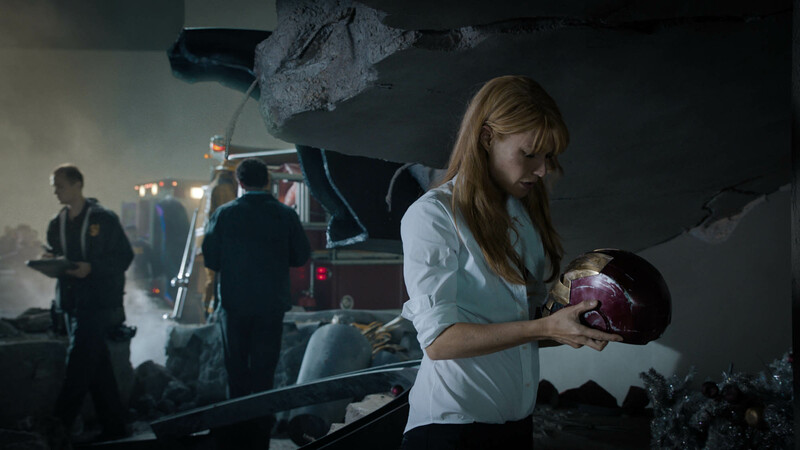 In Iron Man 3, the Mandarin is the bad guy. He brings an organization that is smart and deadly. I don’t know if he will be magic based, like his Marvel comics character, or his powers will be technologically based. The other 2 Iron Man villains were technologically based; this made them more believable characters. From the trailer, he looks to be the deadliest person Iron Man has ever faced. In Star Trek: Into Darkness we are shown KHAN!!! He looks even more badass than the Mandarin. We are shown building exploding everywhere, space crafts falling out of the sky. And he also sounds like he is a man who enjoys watching his victims squirm before he finished them. I think he will push Kirk to his limits in this movie. Both movie look great, but I hope their master plans don’t resemble Bane and Silva’s. Plans that involve flat out suicide to achieve their goals. Not dying in a blaze a glory, killing themselves to support a petty grudge. And check out my Facebook page http://www.facebook.com/WellThatsDifferentWellThePointIs for even more topics and debates. I hope you enjoy and continue to keep on reading. I see a bad trend happening in the movie business. I want to talk about a pair of incredibly evil characters with horribly idiotic master plans. Characters that are portrayed in such an awesome way, that it is such a disappointment to see what their plan really is. 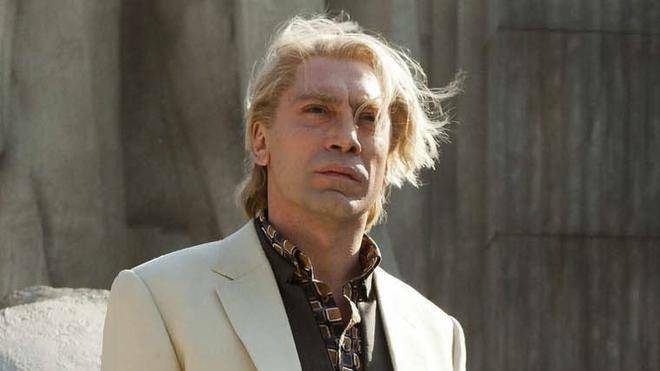 Silva, from Skyfall, was one of the best Bond villains ever portrayed. 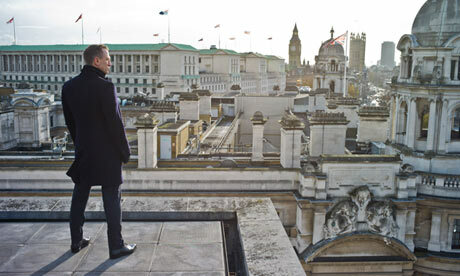 He was always a step a head of Bond and the rest of the agency. He was the flamboyant character that movies have seemed to stray away from today. He added style to disturbed individual and made a lasting impression. He was scary when he wanted to be and he lightened the mood in certain situations. In some scenes, he portrayed death in an almost comedic manner. Bane took intimidation to a whole different level. From the very first scene, we were shown a character that was the biggest threat to Batman and anyone who challenged him. Besides being massive and a skilled fighter, he was also incredibly smart and planned several moves ahead. Things he did in the early scenes shed light to an almost incredible evil plan. The key word being “almost”. The fault in these 2 characters, and what I think is a writing injustice to the actors, was what their master plan was all about. 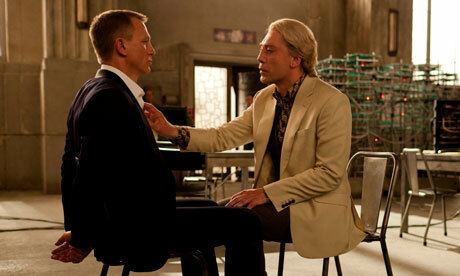 Silva was a former operative with MI6 and captured and left for dead. M at the time could’ve bargained for his life, but chose not to. This led Silva on a revenge fueled quest to kill her and free himself for the horrors he endued. The main problem is found with him is that he had this incredible criminal syndicate built on years of evil and destruction. In the end, nothing else mattered, but trying to kill M. Even at times trying to sacrifice himself just to kill her. I don’t like a character that built years and years of resume of evil, to just throw his life away in a baby like manner. I understand he wanted revenge, but don’t do it in a way that you are ending your life just to end hers. Bane had an army. 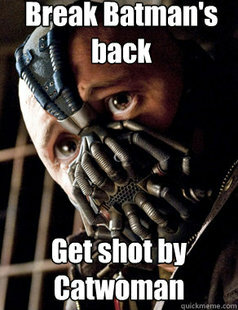 Bane had a purpose, destroy Gotham and Bruce Wayne. Simple, but interesting in the approach he took. He destroyed Bruce’s financial and made him broke. Then later, he broke him physically. Now the best part about it that there were other characters involved in the takeover of Bruce’s company, but Bane was just perceived to be the muscle to get the job done. What later came to light was that Bane was playing everyone. He had a master plan, which had to have taken years of planning. What I hated the absolute most about this movie and Bane, was what his plan was unfolding to be. He had a nuke that he placed in Gotham and it was going to go off in about month or two, I forget how long but it was a long time. The plan was to have Gotham run by the criminals and the city would literally destroy itself. Bane was there the whole time and was going to blow up in the explosion also. He eventually became a suicide bomber and wanted to die in the explosion. Both characters were very similar. They both were smarter than everyone else, they both were intimidating foes and both wanted to die in the end. Now I could understand if they went out all Gun-Ho and died in the process, that I can understand. But both men’s plans WERE to die. They built up huge legacies of evil just to die for a very petty cause to say the least. Silva was revenge, which he could’ve easily achieved. M was an old woman…couldn’t be that hard to kill her. Bane’s character dropped off when he stayed to die in the explosion. Right there his character lost all credibility and intelligence. He was a man who could’ve taken over the world if he wanted to. But instead he chose to want to sit and die for a cause that wasn’t even his own. I think Bane had the worse plan in the end. It was the biggest disappointment I have witnessed in movies in recent years. Again, both characters were portrayed brilliantly, but when the winding minutes of the movies occurred, we saw right through them for what they really were. And without spoiling it, the way they both died was quick and just like their plans, wanted so much more. Check out my site for other articles like this and subscribe to my Facebook page for more interesting topics and opinions.